Col. The Hon A. B. Bathurst Esq. The Annual Speech Day was held on Dec. 17th, when the prizes and certificates were distributed in the afternoon in the Town Hall, by A. E. Wrigley, Esq. Col. the Hon. A. 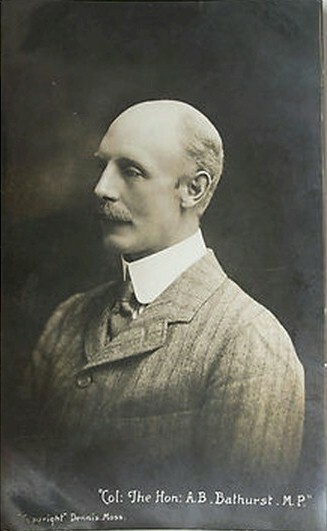 B. Bathurst, M.P., Chairman of the Governors, presided and was supported by many of the Governing Body and the School staff. The School Choir sang with spirit the French National Anthem and a couple of other songs. The Head Master in his report gave a very gratifying summary of the progress the School had made, and quoted a few remarks of a very eulogistic nature from the report of the Full Inspection by the Board of Education. Mr. Wrigley dwelt at length upon the present war, and was followed by the chairman, who spoke highly of the Prefect system in the School and counselled the necessity of its discipline as in the forces under his own command. The Vicar and Dr. Dewhurst emphasised the thanks of the large assembly to Col. Bathurst and Mr. Wrigley for their interest in the annual function. In the evening the hall was again crowded with a very enthusiastic audience. The musical part of the programme was admirably sustained and a most enjoyable evening closed with a comedy entitled, “A Privy Council,” played by pupils and members of the staff. The staging and costumes were all that could be desired and the individual characters of an unusually strong caste (sic) acquitted themselves with great credit.